Using a POS system has simplified the way business owners run their businesses. It’s one of the most important mechanisms of business transactions today, especially for small and mobile businesses. Shopify’s Chip and Swipe Reader is a device that can be easily integrated into your POS system and save you time, money and effort in everyday business operations. Read on to find out more. 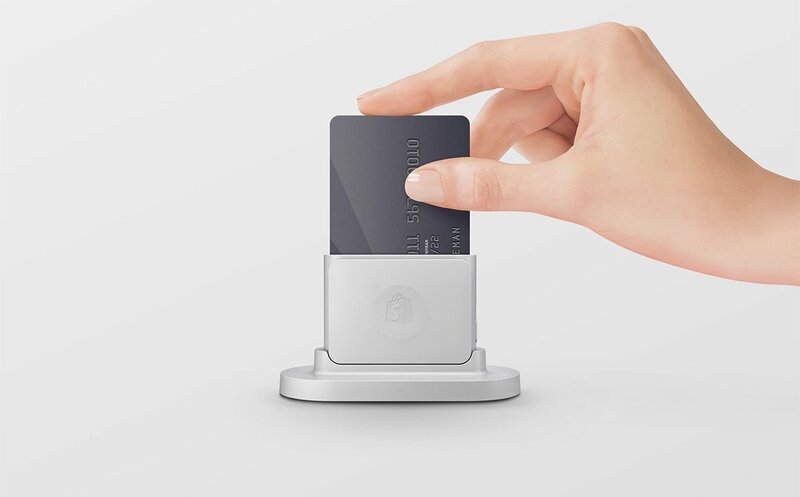 The Shopify Chip and Swipe Reader is a useful device for entrepreneurs who sell in several locations or those who have just started receiving payments by card in a brick-and-mortar store. The reader can also be utilized along with other card readers during busy sales periods at your store or in case you’ve set up a mobile shop while traveling. 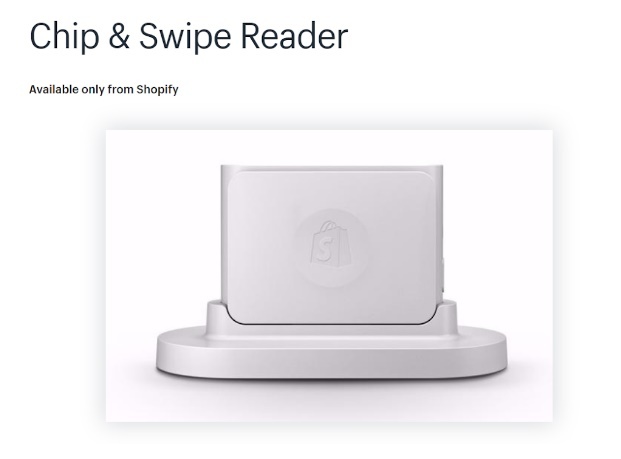 For those looking to purchase the Shopify Chip and Swipe Reader, it is available on the online Shopify hardware store and retails for $29. The device comes with the necessary accessories including a base for placing the reader on a countertop, a travel case for merchants who are constantly on the go, USB cable to charge the device, and two reusable mounting stickers to attach it to flat surfaces or the back of other gadgets such as a tablet or smartphone. Before attaching the reader, make sure that the mounting surface and the reader is clean and dust-free. You can start using the reader by simply pressing the power button on the side. The turning on of the status light indicates that the card reader has been powered. Continuous flashing indicates that the reader is yet to connect to a POS device. If you’ve paired and connected the reader to your POS system, the card reader will immediately connect to your POS device. If the card reader is powered and not used for 30 seconds, the device’s standby mode is activated. Here, the reader flashes every 5 seconds and is automatically turned on when a card payment is initiated. The card reader turns off after 3 hours of inactivity. The entire process has to be repeated to power it back on. You can also manually turn off the reader by pressing the power button. Simply charge the reader by plugging the USB cable provided with it into a computer or charging device once the status light turns red. A yellow light indicates the reader is being charged while a green light indicated the reader has been fully charged. Typically, a full charge take a couple of hours and will last for about 700 swipes or 400 chip payments. 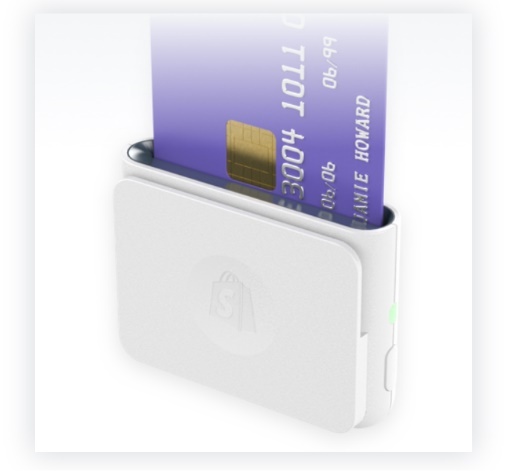 The Shopify Chip and Swipe Reader is versatile and easily works with Apple or Android devices. You can wirelessly connect to an iPhone, iPad or Android device and start using the reader within a few minutes of setup. Customers simply need to insert or swipe their card and sign on the POS device screen. It is compatible with several major card companies including Visa, Visa Debit, Mastercard, Debit Mastercard, American Express, and Discover. To use the Shopify Chip and Swipe Reader, you need to activate Shopify Payments to accept payments. Shopify Payments removes the need for a third-party payment portal or a merchant account and ensures swift financial transactions in one place. To accept a chip payment using the card reader, select Credit on the Select Payment screen. If you have an Apple device, you’ll then have to choose Start Payment. The customer will then insert the card with the chip facing the Shopify logo on the card reader. If a signature is necessary, the customer will sign on the POS device and submit their signature. Once the transaction is approved, you need to select ‘Start new order’. The customer can then remove their card from the reader. Makes sure the card reader is charged well, you have a good internet connection, you are using a Bluetooth-enabled device, and the payment card is inserted properly for a hassle-free experience. In the case of major issues, it is best to contact the Shopify support team. They are extremely responsive and are known to offer excellent customer support. It is a Europay, Mastercard, and Visa (EMV)- compliant credit card reader. It works on most Apple and Android devices and can be easily paired and connected for a quick connection. It comes with all the important accessories for quick setup of business transactions.